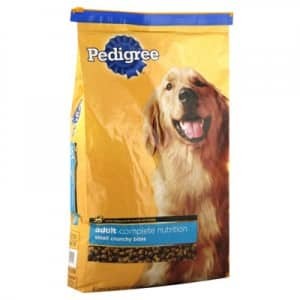 Click here to visit the Pedigree site and you’ll be able to print a form that allows dogs adopted in 2012 to score 6 months of free dog food. Just fill out the form and attach copies of any necessary documents. According to their terms, you’ll get coupons good for one free bag, up to 10 lbs. (max. value $10), and four free 13.2 oz. cans (max. value $5), any variety of PEDIGREE. All requests must be received by January 31, 2013. Please allow 6-8 weeks for delivery. It’s just one ten lb. bag & 4 cans. I’m all for anything free, but this would not last 6 months with my dog…. Agreed. My dog would eat through this in no time. Really? Its free so why complain?